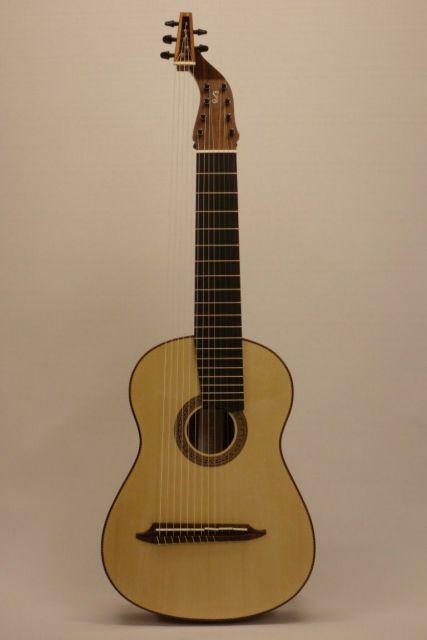 Other models as well as cusotomised choice of wood, design, measurements possible. 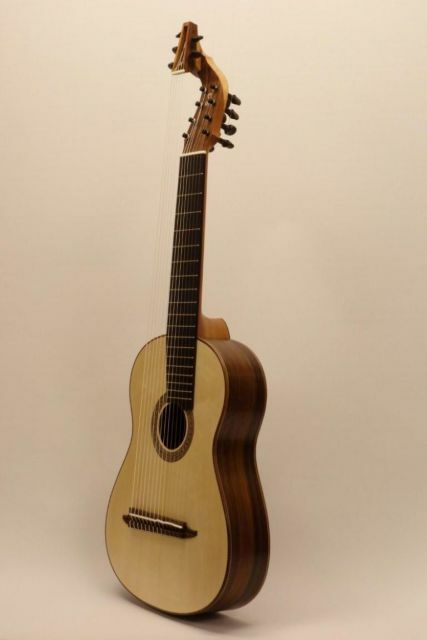 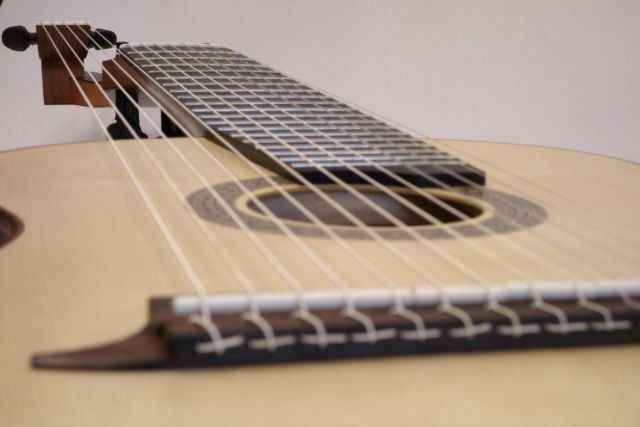 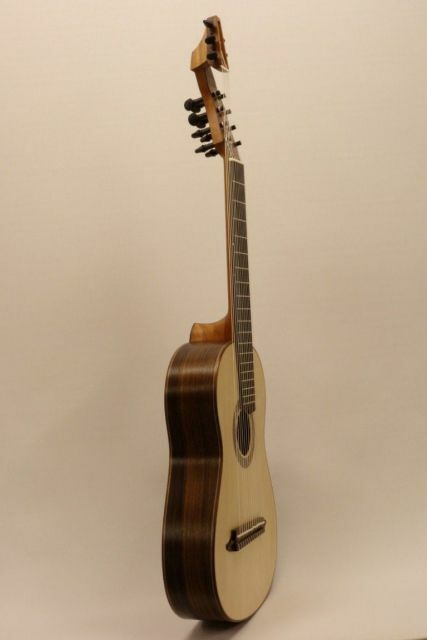 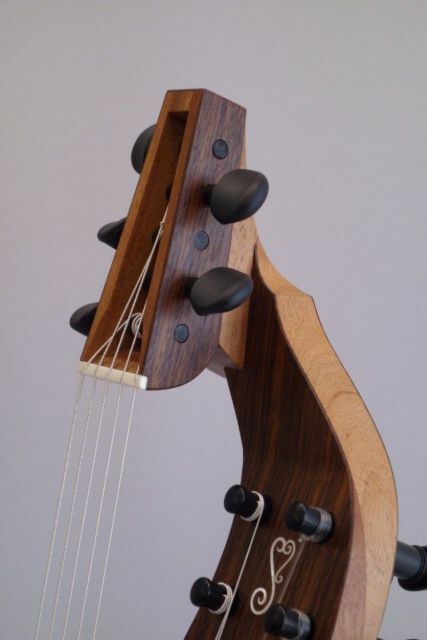 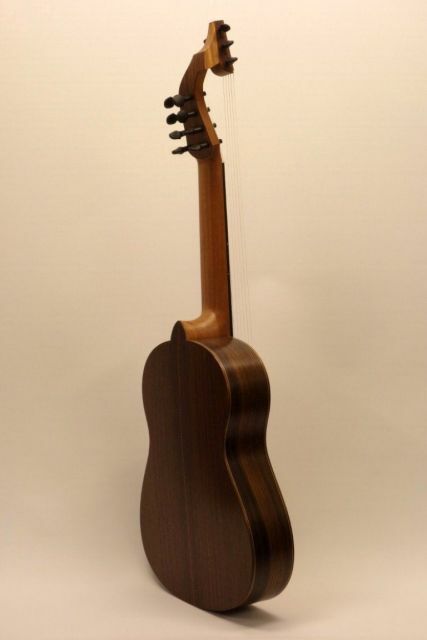 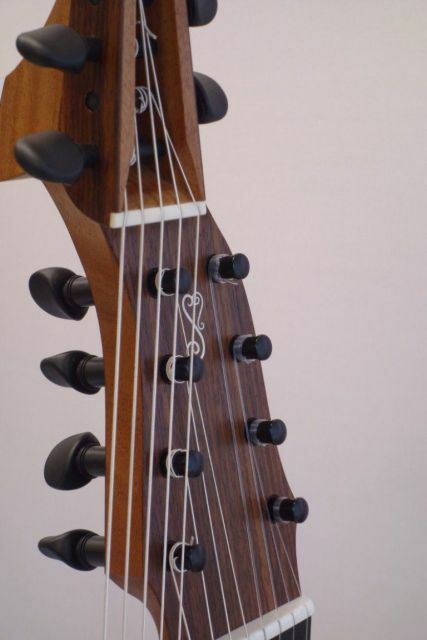 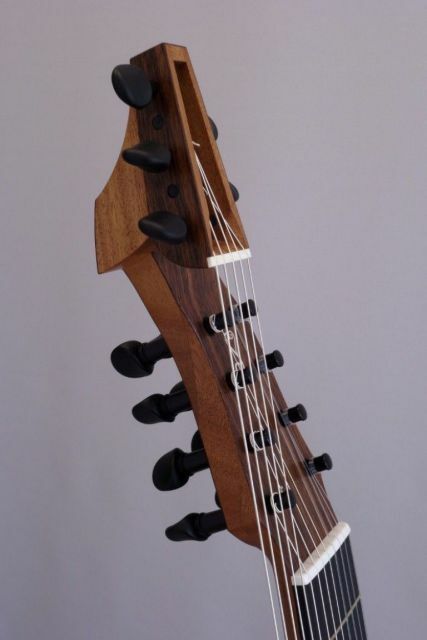 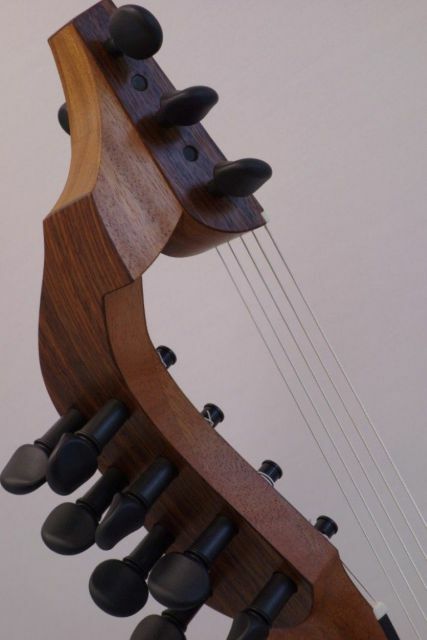 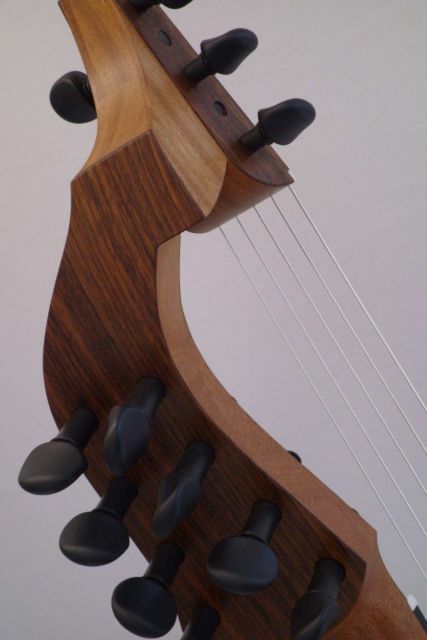 This 13-string guitar has been designed with the cooperation of Stefano Delù who ordered the instrument in D minor tunin (common tuning of baroque lute). 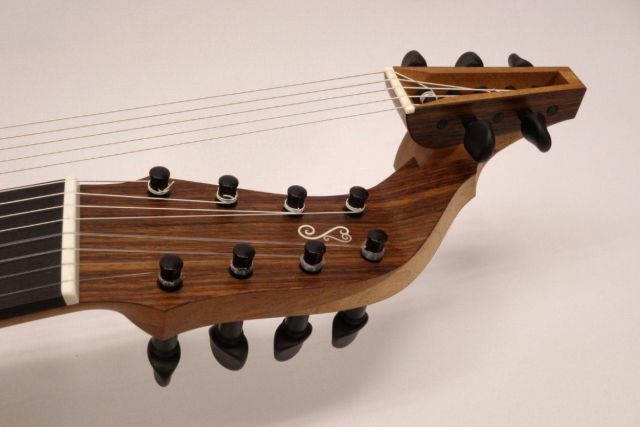 It is tuned as the 13-course baroque lute and makes it easy for guitarists to play directly from tabulature.